THQ Nordic has announced that it has picked up the rights to another IP. This time it’s Kingdoms of Amalur. 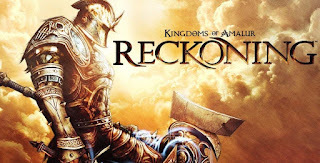 Kingdoms of Amalur: Reckoning came out in 2012, and has some what of a cult following. Is a new Kingdoms of Amalur game coming out or just a remaster ? Thoughts ? UPDATE 9/10/18 - Eurogamer reports that EA still has the publishing rights to the franchise. "EA still has the publishing rights to Reckoning," a THQ Nordic representative told Eurogamer. THQ wouldn't comment further about its relationship with EA, but it did have a bit more to say about its acquisition of the Kingdoms of Amalur property and future plans for it. "At this stage we 'only' acquired the intellectual property," said the THQ Nordic rep. "Given our track record, we know what the burning questions (remaster, remake, port to current-gen systems etc.) are, but we decided do [sic] not answer those specifically as we tend to put our heads together first and then do our homework, and only start to talk about anything once we feel confident and very familiar with the franchise."